Note: WWVA JAMBOREE No# was also issued on COLUMBIA 21088. 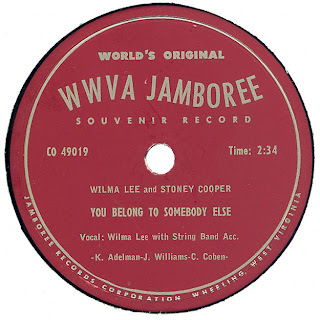 Note: The above record is one of the three 78's that made up the WWVA JAMBOREE souvenir set. I am not sure if these three records came with a printed sleeve. 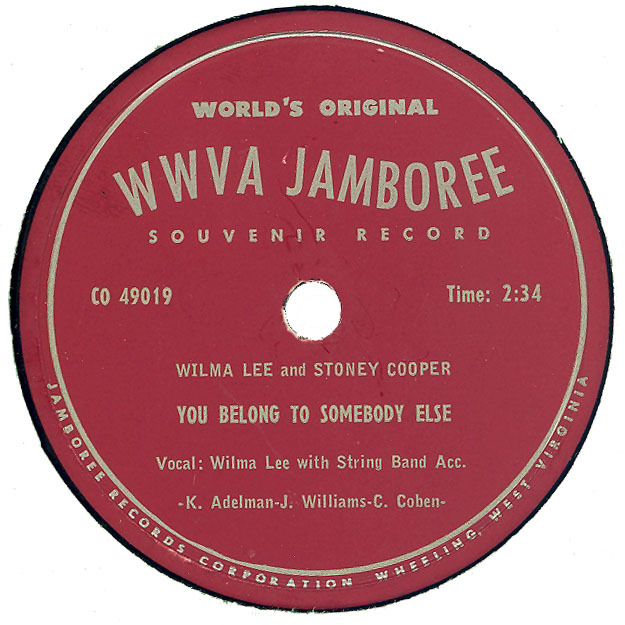 WWVA JAMBOREE 1156 is a COLUMBIA Custom Pressing from 1953.